Liahona Academy is a residential treatment center that offer counseling for troubled teens. We provides complete therapeutic treatment by offering a new beginning in the lives of boys who are struggling with an array of emotional and behavioral issues including substance abuse. 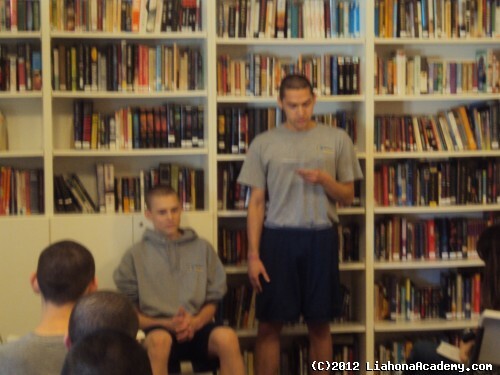 Counseling teen boys is what Liahona Academy is all about. We are dedicated beyond belief to providing the perfect opportunity for your boy to succeed restoration. Please call 800-675-8101 to speak to our professional Admissions Specialist. We can help! Many parents question if their teen’s bad behavior is really defined as a “troubled teenager” or if it is a normal period of life. Most youth are prone to mood swings, however, if they isolate themselves, if they become violent or suicidal, it may be that he is suffering with serious psychological problems that need professional counseling. Some of these issues are: ADD/ADHD, academic problems, problems at home, behavioral or emotional issues, substance abuse, defiance, depression or even threatening suicide. When these issues are prevalent, families usually do not know what to do to help their troubled teens. Struggling boys express themselves in many ways. Some of them take huge risks with their lives. It is common for teens to take chances because they truly believe they are invincible. However, some teens take dangerous chances with their own lives, as well as others, that can include binge drinking, driving drunk or other precarious activities. Many troubled teens need to be removed from their current set of circumstances in order to get counseling and make positive changes, because when teenagers are removed from their current environment, the first step toward help and progress is made. If your child is having problems at home or at school or if he is expressing emotional and behavioral issues and taking dangerous risks. If your boy needs professional counseling for teens, please take action now and give Liahona Academy a call at 800-675-8101. We want to help!